Note that third-party resellers sometimes offer better deals than Apple's refurbished prices, so be sure to monitor our deals roundup. A refurbished MacBook Pro comes with Apple's standard one-year warranty effective on the date the notebook is delivered. The warranty can be extended to three years from the refurbished purchase date with AppleCare+ for Mac, which costs $379 for the the 15-inch MacBook Pro in the United States. Better off buying new from B&H or Adorama. Brand new, full warranty, less expensive on average than refurbs. I’ll pass at any price, and I need a new laptop. Still a terrible value for money IMHO. 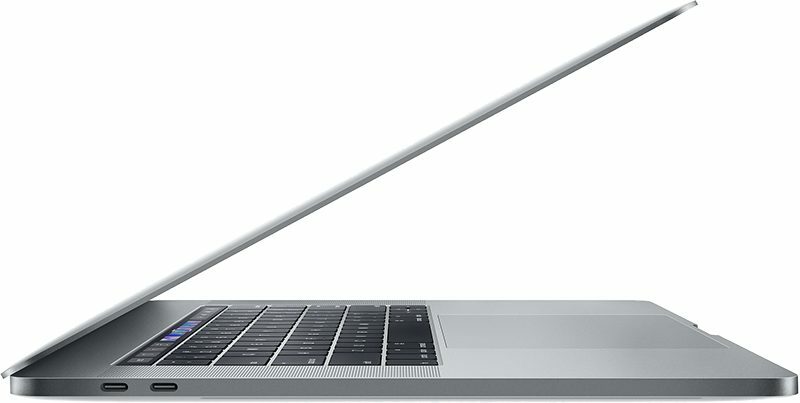 I’m really curious what will Apple come up with after the abysmal touchbar MBP generation. Agree 100%. All refurbs come with an Apple one year warranty, same warranty as any new Apple product. And refurbs have been looked over head to toe by an Apple technician here in the U.S. before they're resold. Any issues, updates, whatever, and they're fixed to like-new standards then packaged in a new box with all the stuff a new MacBook comes with. I've always purchased refurb Apple products and never had one single issue. They are a much better deal than buying new, IMO. I’d agree, but I’m trying to use my Apple Barclay Card for 0% over 18 months. Trying to figure out if I should take this refurbished or brand new. I feel like there’s no difference. And all signs are pointing to no real pro update at the end of the month? A pro update?? Seriously? Apple just did a pro update six months ago. The event at the end of October is about iPads and the new MacBook Air, not the MBP's. Sadly I would't even buy this line of the MacBook Pro at the discounts from the refurbish store. Between the keyboard malfunctions and the lack of connectivity on the one I was given for work..... I just can't see paying premium dollar for a machine that just isn't a premium. I never use the stupid Touch Bar so whatever that is costing in the build process is wasted money. Apple, for real. Please make a truly "Pro" laptop that is well made and reliable again and I'll replace my personal one from 2012. Until then I just can't see spending the money on any version of this new model. This keyboard is not junk. Go try it in the store. It is super fast, very stable and not prone to the failures of the 2016/2017. It is the best notebook on the market hands down. There is no keyboard malfunction on this version! I suggest you adopt TB3 now. Type A is a thing of the past and garbage compared to 40Gbps bandwidth. Each port also supports USB 3.1 gen2 which is 10Gbps so you get Thunderbolt 1 speeds from USB. There is never going to be another user upgradeable MBP again. Besides the boost you will get from a Coffee Lake hexa i7/i9, the DDR4 RAM and PCIe 3.0 NVMe SSD will destroy any 2012-2015 machine. This is the biggest improvement since Sandy/Ivy Bridge. I went back to 2015 models, and wouldn't touch these new keyboards. They said after 2016 that the 2017 wouldn't fail. They did. They said the 2018 wouldn't fail. They do. The issues are twofold. Ergonomics and fundamental engineering design. Also - how to actually use the 2016-2018 keyboards .. The best thing would be if they brought back the 2015 rMBP, with the same awesome ports like MagSafe but obviously update the internals. And that is exactly what it should be about. What do I want, what don't I want. I could care less what other folks think about what I want or need or desire. Sorry if I missed the sarcasm of your post.